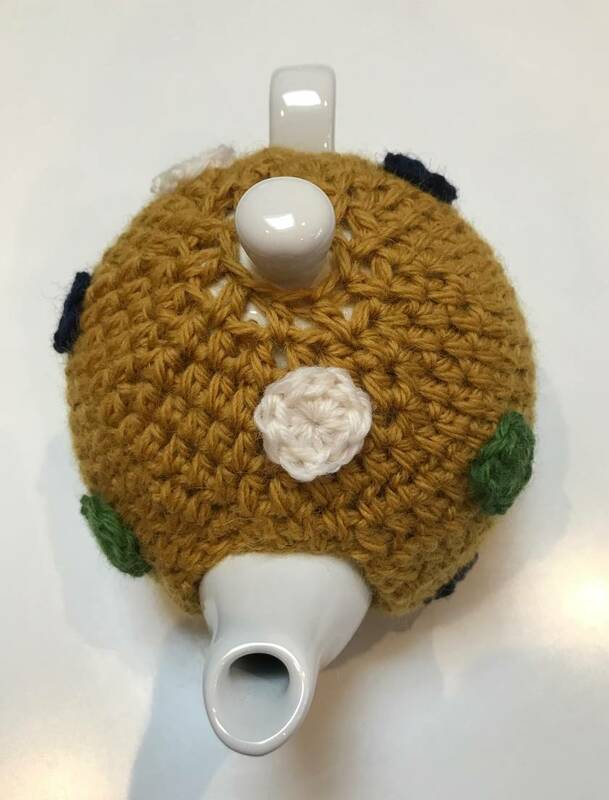 This gorgeous tea cosy is my own design and is crocheted using pure wool. 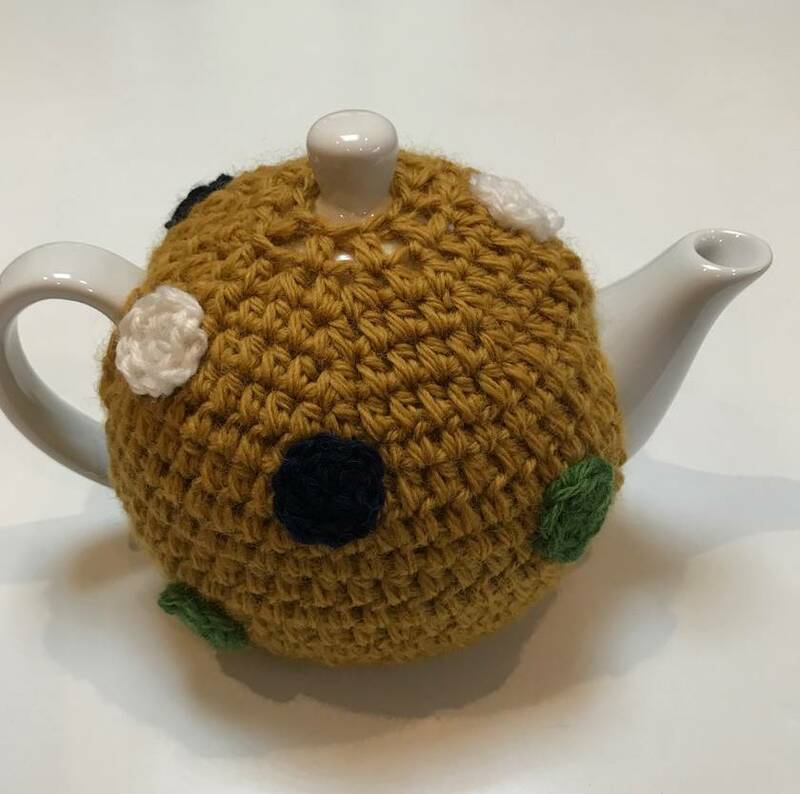 The body of the cosy is a fab mustard and is covered in white, navy and green spots. It fastens at the base of the handle with a vintage button making removal of the cosy a breeze. 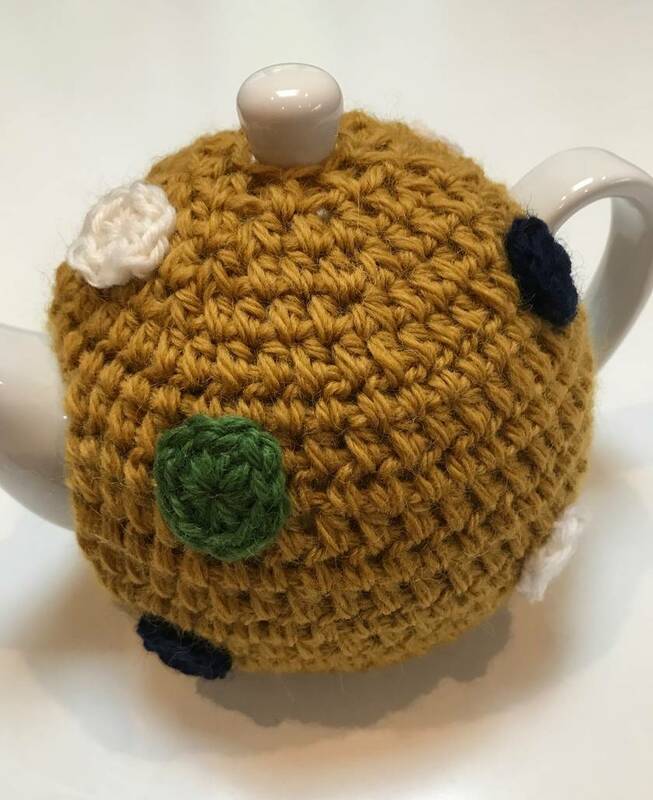 Even if you're not a tea drinker, this would look fabulous on a kitchen shelf.